karmic load by paying mammoth electricity bills to a cash strapped government. 2. No baths: let my fellow beings get more than their share of water. and lice can feast on me, and make my journey to enlightenment that much quicker. This entry was posted in bedtime read, bedtime reading, bedtime reads, body-mind-spirit, Book, Book Read, Book Reading, books, fun read, Fun stories, funny books, funny short stories, funny spiritual stories, funny spirituality, funny stories, Good Reads, Good Stories, heal, Heal your soul, Healing, healthy life, Healthy lifestyle, hliday reading, holiday read, holiday reading, holiday reads, holidays reads, holistic, humor, humour, laughter, laughter best medicine, Life Positive, Life Positive Publications, lifestyle, light book read, light read, Light Reading, light reads, light spiritual read, light stories, mind-body-spirit, positive life, Read, Read a book, Reading, reading a book, short stories, short story, small stories, social sciences, soul cleansing, Soul Healing, spiritual, Spiritual Books, spiritual read, spiritual reading, Spiritual reads, spirituality, Stories, travel read, travel reading, travel reads, vacation read, vacation reading, vacation reads on 25/08/2014 by lifepositivepublications. This entry was posted in Book, Business, Business Ethics, business excellence, Business Governance, business management, Business Policies, corporate ethics, corporate governance, corporate policy, ethics, Good Reads, guide, handbook, management, management in social sciences, Read, Read a book, Reading, reading a book, social sciences, Teach Values, Teaching, Teaching Business, Teaching Corporate Policy, Teaching Ethics, text book, text book for college, text book for researchers, Uncategorized on 11/08/2014 by lifepositivepublications. Most of my friends think, I am in the business of Positive Thinking. And nothing can be further from the truth. For one, I truly believe in the power of holistic thinking. The good, the bad and the ugly. And secondly, I use whatever is necessary to induce transformation including STRONG USEFUL NEGATIVE THOUGHTS. This entry was posted in Alternative Medicine, Alternative Therapy, bmp, Body Healing, body mind, body mind programming, body-mind-spirit, Book, Book Read, Book Reading, books, competition, Conversational Programming, cure, Disease, Elixir, ethics, events, Good Reads, governance, guide, handbook, heal, heal self, Heal your soul, Heal yourself, Healing, healthy life, Healthy lifestyle, help, holistic, Holistic healing books, hypnotherapy, Inspirational Books, Life Positive, lifestyle, management, Manifestation, meditation, mind-body-spirit, Motivational Books, new launch, NLP, Novels, policy, positive life, Programming, psychotherapy, Read, Read a book, Reading, self discovery books, self heal, Self help, self love, Self-healing, social sciences, soul cleansing, Soul Healing, soul space, spiritual, Spiritual Books, spiritual healing, Spiritual reads, spirituality, Teach Values, Teaching, therapy, theta healing, tutorial, Uncategorized, Values, wellness, workshops on 04/08/2014 by lifepositivepublications. A lucid and simply worded argument has been posited by three well known Indian scholars. 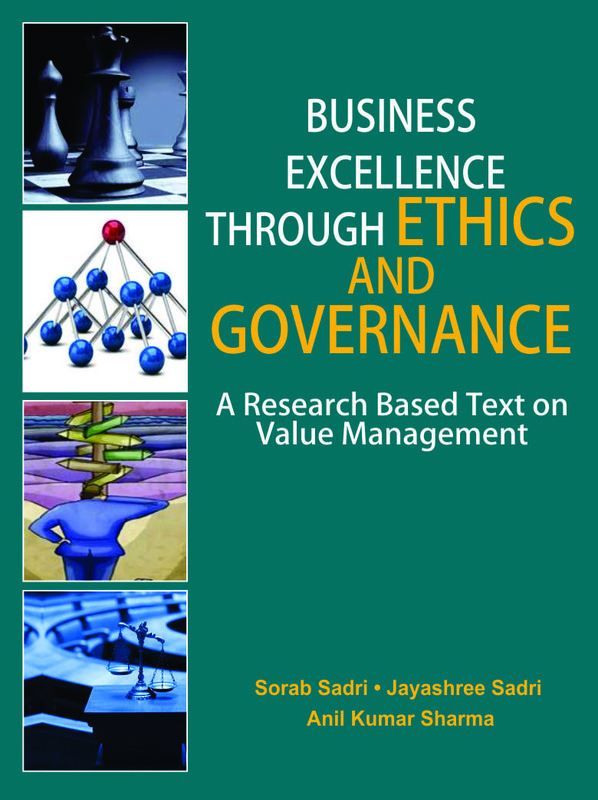 They argue that business excellence is possible only if ethics and governance is in place and is meaningful if it cascades into sustainability. In so doing they have made a singular contribution to the corpus of thought. Contact varuna@resistoflex.in to order your copy today. This entry was posted in Book, book launch, Book Read, Book Reading, books, Business, business excellence, business management, corporate ethics, corporate governance, ethics, Good Reads, governance, management, policy, Read, Read a book, Reading, social sciences, Teaching, tutorial on 02/08/2014 by lifepositivepublications.